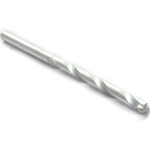 A fully hardened wood drill with centre screw point. 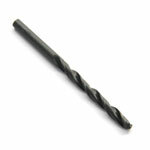 Has a good chip clearance in soft and hard wood in either dry or damp timbers. 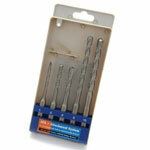 Ideally suited for boring deep holes in timber joists, doors and timber frames. 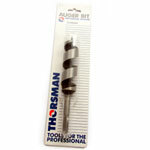 Used mainly for passing of pipes, cables, bolts etc. 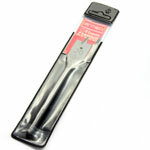 Also used for fitting locks in doors. 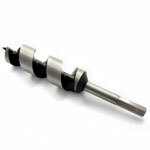 To buy Auger Wood Bit, select the quantity required from the table below.